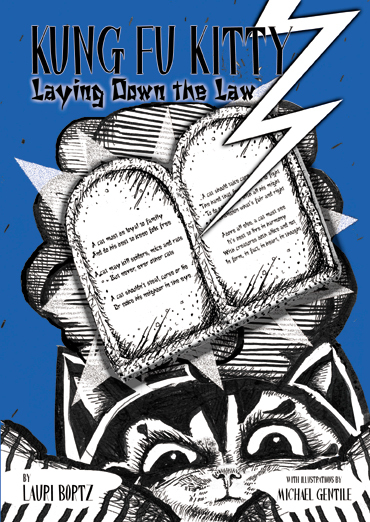 Click here for all the information on Kung Fu Kitty: Laying Down The Law. Click here for all the information on Lost & Found. Click here for all the information on A Voice Hears You From Mysterious Places. 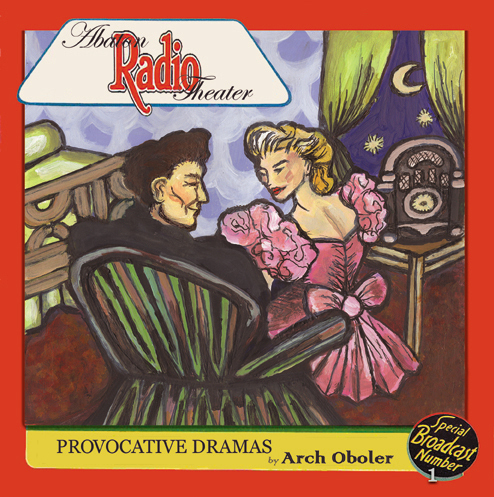 Click here for all the information on Provocative Dramas. 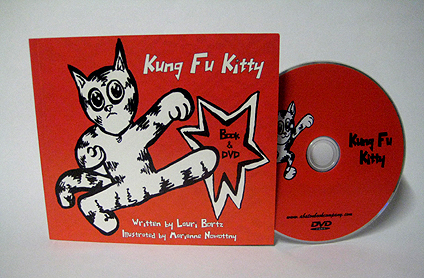 Abaton is pleased to present the long-awaited book/DVD set Kung Fu Kitty, written, narrated and directed by Lauri Bortz with illustrations, set designs and musical score by Marianne Nowottny, videotaped and edited by Mark Dagley, starring Abaton mascot and recording artist Frick-the-Cat. Click here for all the information on Kung Fu Kitty. 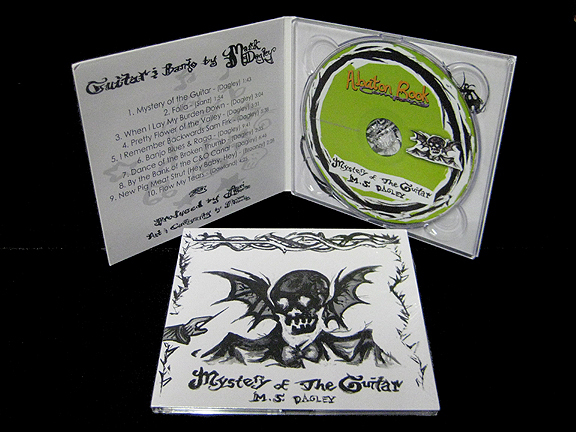 Two-Fur featuring vocals by Frick the Cat with musical accompaniment by guitarist Mark Dagley; punk rock caterwauling by all feline band Fuzzy wuz She on B-side; 7" vinyl 45 rpm record. 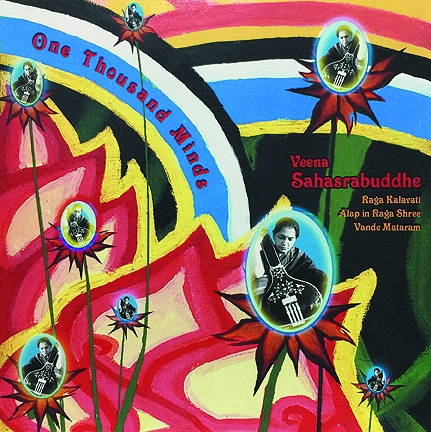 This deluxe edition is limited to 1000 numbered copies and includes a 20-page photo journal of Veena Sahasrabuddhe's musical history, as well as a lyric sheet in Devanagari with English translations and phonetic spellings, all enclosed in a sealed 5" audio-reel box. 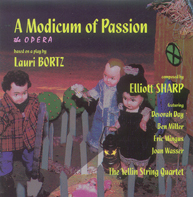 Opera based on the play by Lauri Bortz with music composed and conducted by Elliott Sharp. 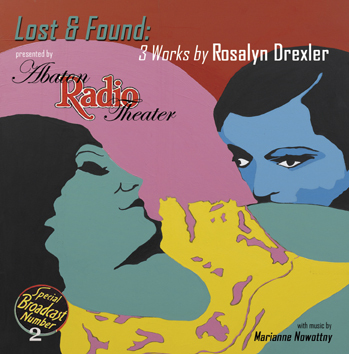 Featuring Devorah Day, Ben Miller, Eric Mingus, Joan Wasser. Includes an 8-page booklet with synopsis and photographs; plus a additional 6-page folded insert with artist biographies. 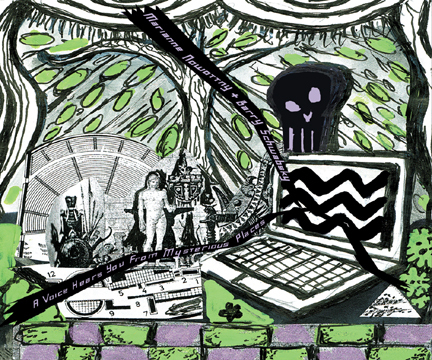 Two plays by Lauri Bortz with illustrations by Brazilian artist Roberto Cabot and the author. Julia Vorontsova. 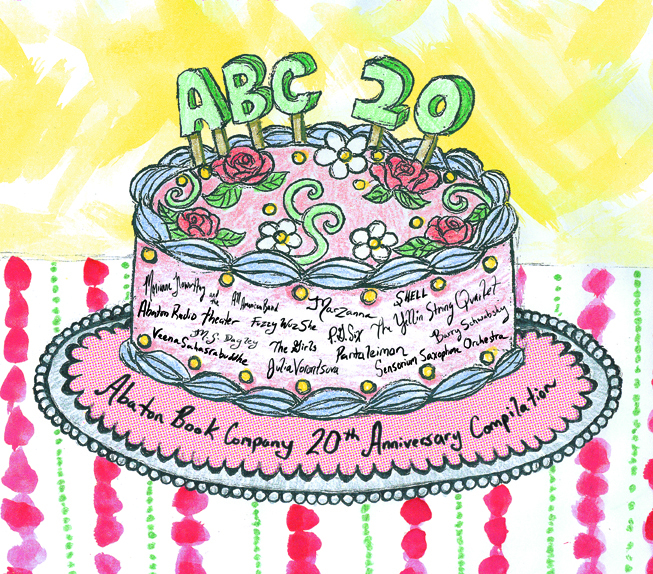 Includes 12-page booklet of English commentary and Julia's drawings. Copyright © 1997-2018 Abaton Book Company. All rights reserved.